I was set off today by a report that “fMRI scans prove music is more emotionally stimulating if you listen with your eyes closed”. What’s wrong with that? Well, if I want to know if music is more stimulating with the eyes closed, the sensible experiment would be to ask people to report their emotions while listening to music with eyes open or shut. A brain scan gives you a 3D representation of how regional blood flow changes over time when a person performs a particular task or experiences a specific mental state: it does not measure emotional stimulation. It seems every week we have another claim that brain scans have shown something about our cognitive or emotional characteristics. 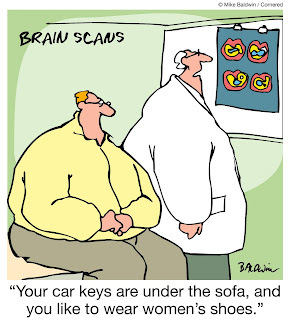 To see how accurate this perception was, I tried Googling the phrase “brain scans show” or “brain scans prove”. Within minutes I had a long list of hits, most of which made unsupportable claims. Neuroscientists have for many years been interested in documenting how brain activity in different brain regions correlates with mental activity or mental states. For some mental states, we know enough to say that when we do cognitive operation X, or experience emotion Y, brain region Z is usually activated. But what we can’t say is that if we see activation in Z, this is equivalent to cognitive operation X or emotion Y. For a start, most mental activities involve a whole network of brain regions acting together, and there can also be substantial variation from one person to another in brain structure and function. But more seriously, there is a logical problem at the heart of this argument. Consider not the brain but the skin. When I am anxious, I tend to sweat. If you observe that I am sweating, you may suspect that I am anxious. But I could be sweating for other reasons: I may have been exercising, the room may be hot, or I may have been eating chillis or taking medication. You could test your theory that I am anxious by asking me. Suppose I deny being anxious: would you believe me? Maybe not: perhaps I am really anxious but reluctant to admit it. But you’d be foolish to regard sweating as a more reliable indicator of my emotion than my verbal report unless there was good reason to believe I might be lying. You’d be even more foolish to assume that I’m not anxious if I’m not sweating. Sweating is a correlate of anxiety (and an unreliable one at that): it is not the same thing as anxiety. Genevieve McArthur and I have made the following point in a forthcoming chapter. The point is about using brain imaging in studies of the efficacy of interventions for cognitive disorders such as dyslexia. Suppose you assemble a group of dyslexic children, assess their reading prior to the intervention and scan their brains during a reading task, administer the intervention, and then assess their reading after the intervention and scan their brains during a reading task after the intervention. Efficacy studies like this are quite often done: but why do the imaging in such studies? What role does it play? Suppose the post-intervention reading assessment show that reading has improved significantly (and we can rule out artifacts such as practice effects. We conclude that this intervention is effective. If we can detect no change in the brain imaging data before vs after intervention, would that cause us to doubt our conclusion about the effectiveness of the intervention? Clearly not. 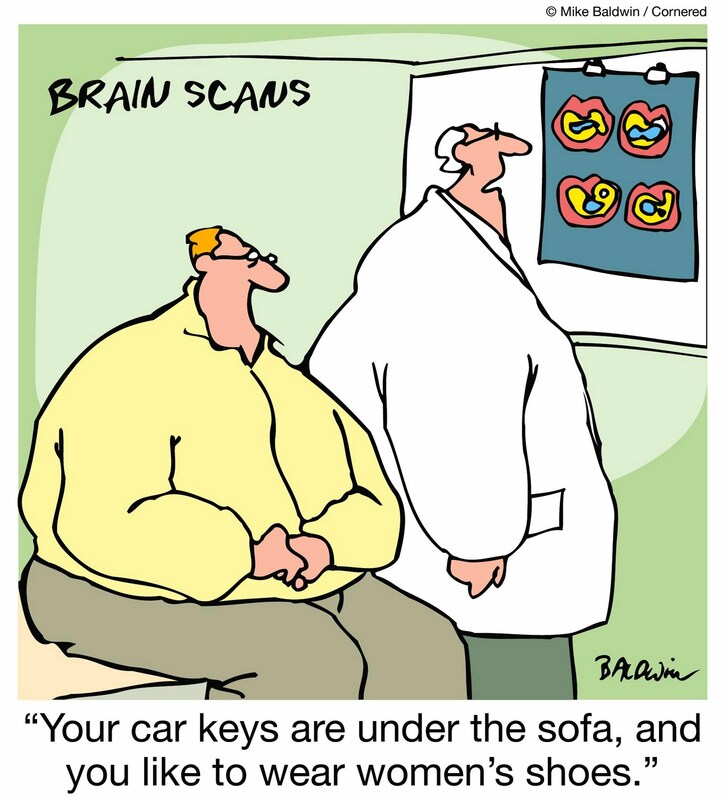 So the brain imaging has no role here. Suppose the post-intervention reading assessment show that reading has not improved significantly. We conclude that this intervention is not effective. If we can detect changes in the brain imaging data before vs after intervention, would that cause us to doubt our conclusion about the intervention being ineffective? Clearly not. So the brain imaging has no role here either. All the matters in studies like this is whether the behavioural testing does or doesn't show an improvement. So why do people include imaging in studies like this? It is as if, as Dorothy says, "the brain scan is seen as a more reliable indicator than traditional behavioural measures". But I doubt that cognitive neuroscientists who do this kind of imaging + intervention work, if directly confronted with the question of whether they do believe that brain scans are more reliable indicators than traditional behavioural measures, would say Yes (since I don't think anyone working in this field would see this as a defensible position). So: why the imaging here? Max, I think your take on this is more extreme than mine. I don’t have any problem with people doing brain imaging studies to look for correlates of mental phenomena: I think these might throw light on neural mechanisms that underlie those phenomena. What you and I agree on is the fatuousness of treating the neural data as somehow more ‘real’ than the psychological data - it’s a completely different level of description. But any intervention that changes behaviour must be producing a change in the brain; if we can understand what it is, potentially it could inform our interventions. Currently, our methods of imaging are pretty blunt instruments for that purpose, but I’m all in favour of trying. For instance, if there’s change in a circuit that involves a specific neurotransmitter, you might want to try using specific pharmaceuticals alongside a behavioural treatment. The imaging data might also suggest sites for electrical stimulation or TMS to be applied during intervention. All highly speculative and typically over-hyped, but you seem to be arguing there’s no point in even looking for brain correlates of learning. I think there is, provided you don’t over-interpret the results. If you find a brain correlate, you’ve found more information that may be useful in understanding the pathway from brain to behaviour, but you haven’t found an explanation for behavioural change. To Max's point on reliability of MRI vs behavioural data. Sadly, I've known various quite prominent academics say something along the lines of "We won't need such a large N for the MRI component, as MRI is more sensitive than our other measures". When prompted for evidence, a Gallic shrug is typical. What they really mean is: "We'll find a plausible result with the MRI, with the right analysis". Spot on as always, Dorothy. Just to say that I agree with ferguskane that as scientists, we all have a responsibility to ensure as much as we can that cognitive neuroscience findings are reported sensibly in the media. This refers to the authors of the studies under discussion, who should try hard to make sure journalists are aware of the caveats and cautions. I think it should also apply to the various "rent-a-quote" scientists who often seem to crop up providing apparently objective, sober assessments as to the significance of the research, but sometimes only serve to exacerbate the over-hyping that you describe. I agree with your points. Yeah there can be also substantial and variations from one person to another person in brain structure and functions. It is very useful information about brain structures . Keep posting.